It's official! 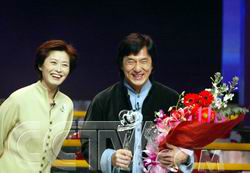 Jackie Chan will be giving two charity concerts in April. He will be in New York City on April 7th and in Las Vegas on April 10th. Tickets to the Las Vegas event went on sale today and the New York event tickets go on sale on March 6th. Stay tuned for more information. As it states on the main news page, the JC Group will work hard to make special accomodations for the VIP members (don't forget....all you Kids Club members ARE VIP members). Of course, no promises have been made. So let's just cross our fingers and hope for the best! Click the design (above) to see ALL the Buddy Bears projects! There are lots of new birthday cards for Jackie. Thanks to Sue Clayton from Texas for sending in cards made by her second grade class. Sue is an old friend of the Kids Corner. She always involves her classes in Jackie projects. If you haven't seen the fairy tale that her kids illustrated, then you're missing something very special! Click below to see The Tale of the Trusty Tiger. Oops....got a little off track. Click below to see the birthday cards sent in by Sue Clayton's class PLUS a few from some other fans. The cards are really nice.....Jackie will be very happy to get them. There's still plenty of time to send in your card for Jackie's 50th birthday. Click here for information. There's a new coloring project from Holly on the Coloring Pages. Check it out! 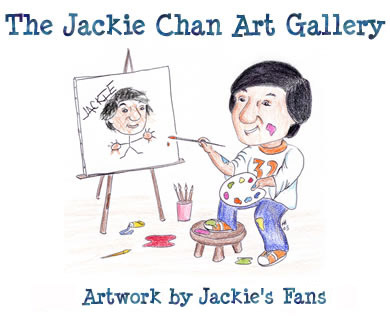 There are a couple of new projects that have been added to Jackie's Coloring Book. Click here to see them. A big thanks to Silvia, a very talented graphic artist who has sent in several adorable designs for the Buddy Bear Contest. Click here to see Silvia's new designs! 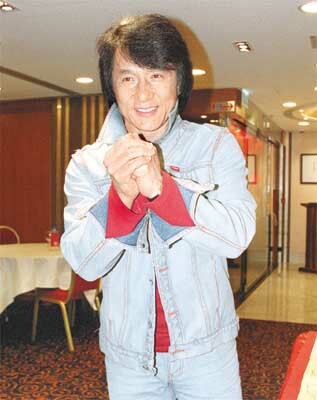 Click here to read a terrific interview with Jackie at the JC News site. Thanks to Marie for the information. Jackie is traveling right now, so there's not much news. He's doing promotion and charity work, so keep checking back for updates on his activities. Thanks to Silvia and Carol for two adorable Buddy Bears to add to the "Big Kids" Buddy Bear Contest page. Click here to see the latest designs! 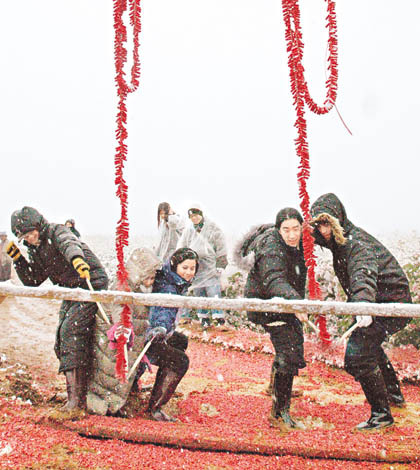 Click the banner above to read yet another wonderful memory of Hong Kong by Kids Corner friend Mary DeBerry. There are also a few beautiful photos in Mary's album to accompany this story. Thanks for sharing more of your terrific stories, Mary! Wow! There are three brand new coloring pages for you to color. Thanks to Holly for all her wonderful drawings. Click here to check them out. Thanks to 8 year-old Jade for sending in her beautiful coloring projects. They're posted on page three of Jackie's Coloring Book. Check out the first entry in the Design a Buddy Bear Contest! Thanks to Silvia for being the first to enter! The webmaster has returned to her post here at the Kids Corner. Yes, she survived the alligators, snakes, and geckos that roam the wilds of Florida. Many apologies for the lack of Jackie news these last few days. Everything will be back to normal now.....starting with the announcement of a great new contest! Click below for all the details! In addition to the new contest, check back here in the next few days to see lots of great stuff that happened in the past week. There'll be a new coloring page thanks to Holly. There will be new coloring projects sent in by fans too! 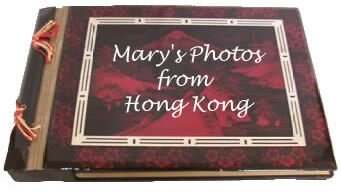 Mary has written another story about her trip to Hong Kong as well. Just give a bit of a chance for the webmaster to catch up and we'll be right back on track. 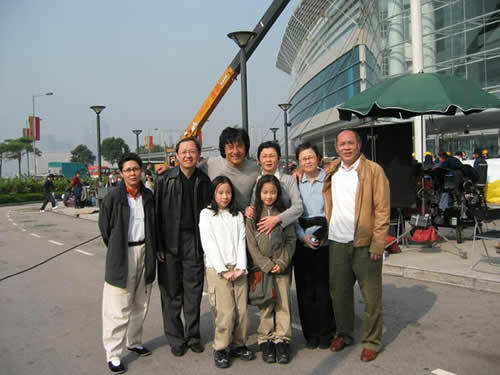 Jackie's official site (of which the Kids Corner is one part) has obtained the domain name www.jackiechan.com. This is very good news for Jackie! 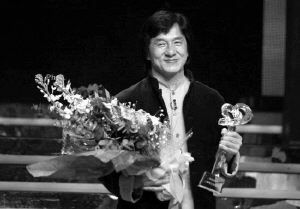 Congratulations to Jackie for being voted one of Hong Kong's top 5 heroes! Click here to read more about it at the main news page. 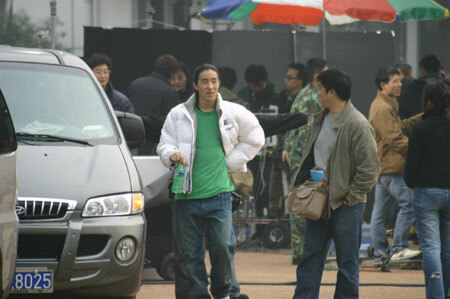 Jackie visited Soeul, Korea to view the movie Taegukgi, a Korean War epic. He will also visit the Seoul branch of his restaurant chain, Jackie's Kitchen, host a private charity party, and donate the proceeds to help recover the remains of the war dead. 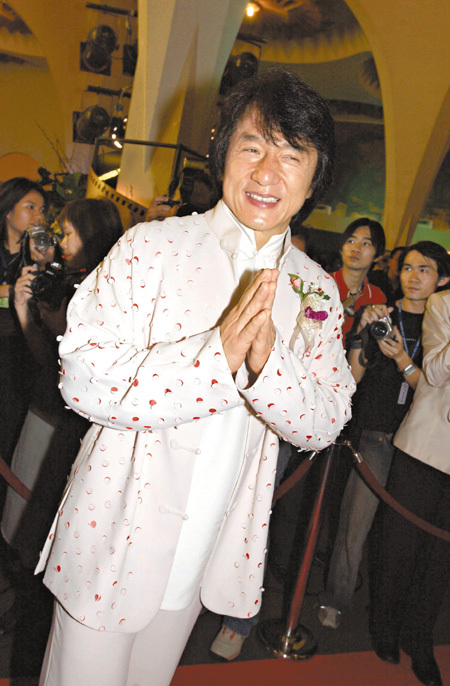 Jackie is likely to gather his friends once again to stage a charity concert at the MGM, Las Vegas coming April. And the good news is it's not just the West Coast this time! We're taking it East Coast as well. The venue will very likely be The Madison Square Garden in New York. Dates of the concerts are April 7th in N.Y. and April 10th in Las Vegas. We are doing our best to work out arrangements with the Organizers to reserve some special seats exclusively for our VIP members. It's not a promise but we're trying to negotiate a little discount too! Don't expect too much though! After all, these are fund raising concerts and like the previous times, we hope to benefit as many of our affiliate charities as possible! KEEP A LOOK OUT FOR FURTHER NEWS! It's been a few days since the Kids Corner Jackie news has been updated. Sorry for that...the webmaster was traveling (still is) and having some problems finding a connection where she could upload to the site. There will be spotty updates until the 22nd of February. After that, all the fun stuff that you're used to seeing on the Kids Corner will resume. Sorry for the pause!!! Look! Caricatures of Jackie.....in Jackie Fun Stuff! LOTS of new stuff today! Updates here, updates there, updates everywhere!!! Click the images below to link to all the new things! Awesome new coloring pages. Jackie wearing a hat (above) PLUS really neat DRAGONS!!!! Check out the amazing birthday card that Sean made for Jackie! Find out how to send yours too! A new memory of Hong Kong from Mary D. PLUS a whole new page of photos! New coloring projects added to Jackie's Coloring Book! 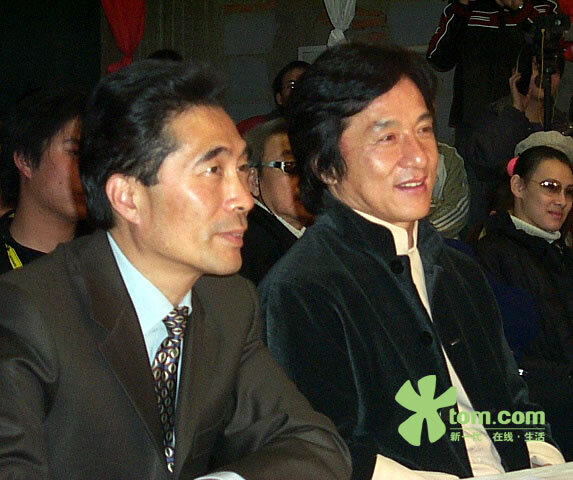 The first photos of Jackie's son Cho Ming are starting to come in. Thanks to Marie for the find. Disney's Around the World in 80 Days website has launched. There's not much there yet, but stay tuned as they add more to it. Photos ©2004 Disney. All rights reserved. Eva Herlitz, the woman behind the United Buddy Bears project, has sent a foot-tall blank Buddy Bear to the Kids Corner webmaster. Would you like to help come up with an idea for a design to paint on the bear? Click the bear for details! 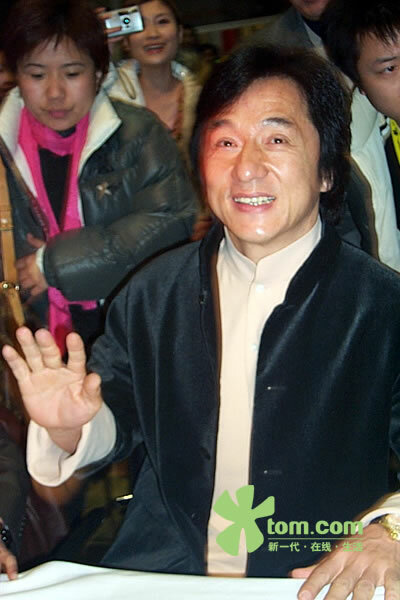 There's a Jackie's Kitchen in Korea that has a terrific website with lots of nice photos. Click here to see it. 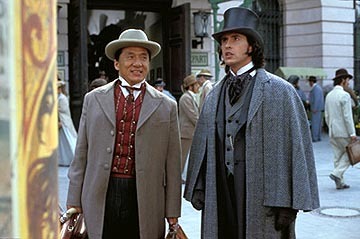 The trailer for Around the World in 80 Days is online for viewing! Click here to see the trailer and an on the set report from British television. Well, kids.....Holly's back in business! She's been a little under the weather but is feeling much better and has presented the Kids Corner with an awesome new Coloring Page! Check it out! There's a new pet named after Jackie in the "I Have A Pet Named After Jackie" Gallery. Have a look! Eva Herlitz, one of the creators of the United Buddy Bears project, has kindly sent the Kids Corner a photo of the Circle of the United Buddy Bears. 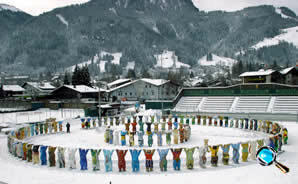 This photo shows the bears in Kitzbüel, Austria - the first stop of their world tour. 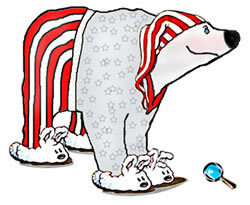 Check out the updated Buddy Bears page here on the Kids Corner! 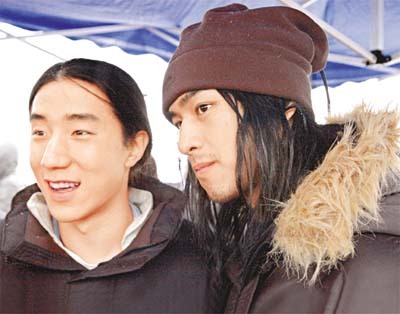 The rumors about Jackie's son Cho-Ming playing a role in the sequel to The Twins Effect are true. Click here to read more. 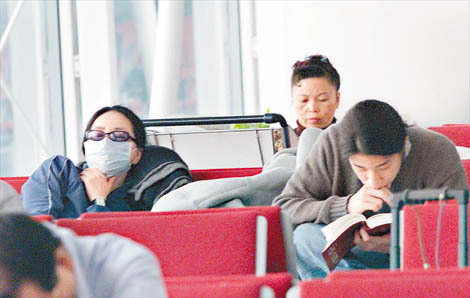 Here's a photo of Cho-Ming taken at the airport in Hong Kong. 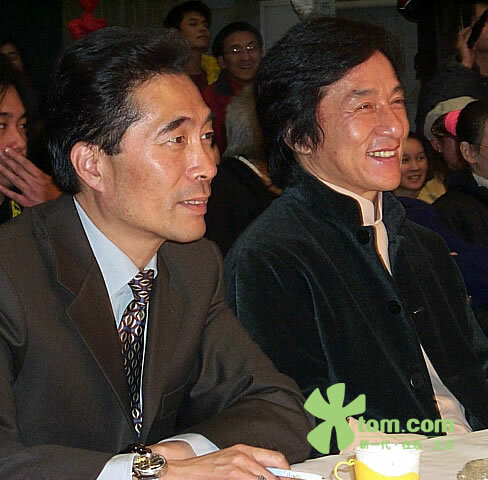 If you've ever seen photos of Jackie as a young man, then you'll notice that there's a striking resemblence between father and son. Wow! It's like turning back time. A new section has been added....photos of some of the tiles that kids have sent to Jackie PLUS photos of Jackie holding the tiles! Click here to see the new section....and to find out how to add your tile to the gallery! Click the photo of Joe Eigo to see the JC Stunt team's newest member doing some mind-boggling things! Thanks to Marie for the link. 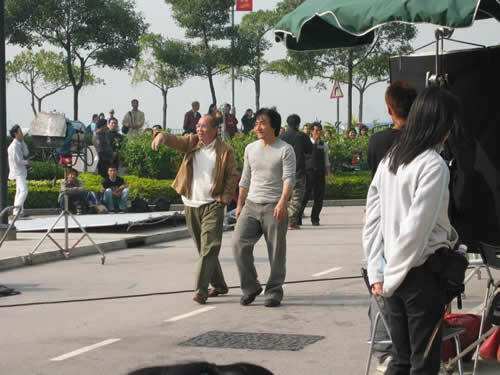 Don't forget to check out the latest addition to the Letters from Hong Kong page. 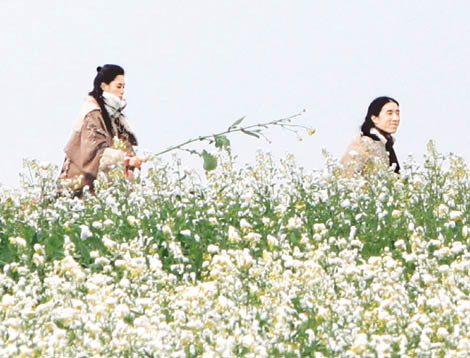 There are TONS of new photos in Mary's album as well. You can see photos of some of the tiles mounted on the walls at the JC Group offices! The Noodle Lady of Kowloon page has been updated to include a photo of the famous "noodle lady" thanks to Mary D.
More of Mary's photos have been added today....plus more stories from Hong Kong! Click the album (below) to see the new photos. Click here to read the new story. Wow! Mary has sent more photos from Hong Kong....including photos of the tiles mounted on the walls at the Waterloo Road complex! Click the album to check them out....and a big thank you to Mary for sharing! 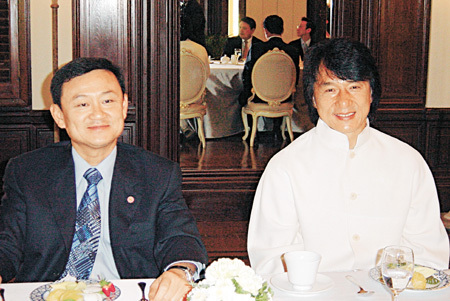 According to an AP Wire excerpt, Jackie will start filming Rush Hour 3 in August. 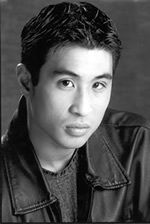 The production will take him to Russia, Germany, and France. If you are a kid and you've sent a tile to Jackie and have received a photo back from him, please scan it or copy it and send it to the webmaster here at the Kids Corner. There will be a special section for Kids Tiles here and we'd like to include yours!